Sebastian Vettel topped both practices at the Bahrain Grand Prix Friday as Ferrari showed impressive pace heading into its qualifying showdown with MercedesAMG. Mr. Vettel beat MercedesAMG driver Valtteri Bottas by .041 secs in the 2nd session under floodlights, having been comfortably ahead of Red Bull’s Daniel Ricciardo during the very hot 1st practice in the early afternoon. Mr. Ricciardo was 3rd in P2, followed by Ferrari’s Kimi Raikkonen. MercedesAMG’s Lewis Hamilton was 5th. In race trim Ferrari is a couple of tenths of a sec quicker, so expect a great qualifying battle Saturday, and then in the race Sunday. With their pace neck and neck in Australia and China, all eyes will again be on the MercedesAMG-Ferrari Duel under the lights at Bahrain. 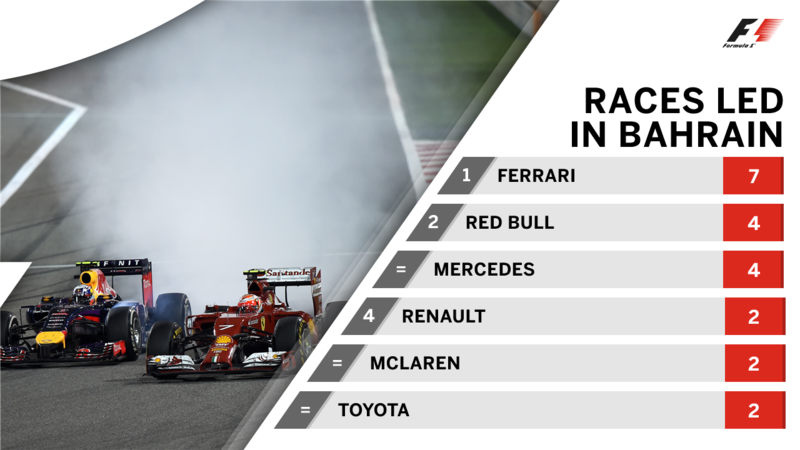 The Scuderia boast the best record at BIC, having not only won more times than any other team, 4 to Mercedes’ 3, but also led the most races. Take the last 3 years in isolation however, and MBZAMG have been victorious eac time, leading 106 laps in total to Ferrari’s 25. The Big Q: What will we see Sunday night? 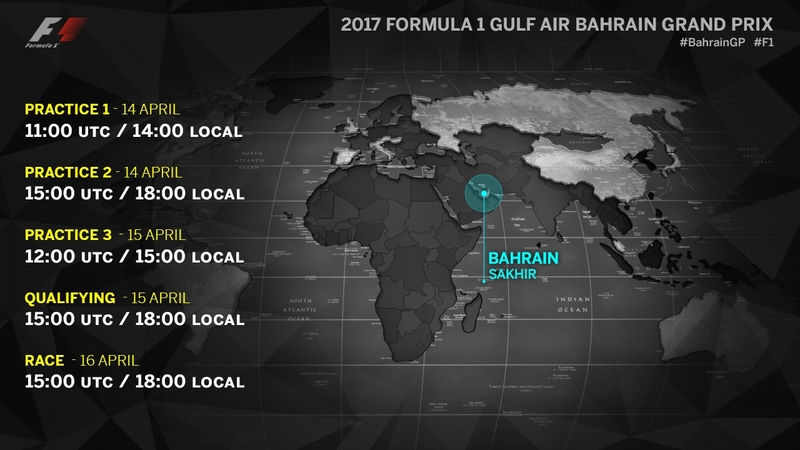 The Bahrain International Circuit (BIC) hosted its Inaugural Grand Prix in Y 2004, marking the 1st round of the FIA Formula One World Championship to be staged in the Middle East. Since then its Desert setting have made it a unique staple of the F1 calendar. Sand can pose a problem for grip levels on the track and for car performance, with engine air filters having to be checked thoroughly and often. And with the race taking place near dusk and finishing under floodlights, the temperature swing from the heat of day to the cool of night adds another variable to a car’s set-up and adjustability. Drivers will take on plenty of fluids whilst in the cockpit, but those making the podium will celebrate with a special rosewater-pomegranate drink, since alcohol laws prohibit the use of Champagne. Do not forget, if you are registered with F1® Access (it’s free!) you can follow live timing and commentary from Bahrain on Formula1.com, or by downloading the Official F1 App.For more details, click here.